Launched in 2004, ISE is the world’s largest tradeshow for the professional AV and electronic systems industry. More than 20 Canadian companies have registered as exhibitors. Award winning architect Ole Scheeren will present the Opening Address on 6 February. This will also act as the finale of the Smart Building Conference. The full-day, annual summit will explore the latest commercial and residential smart building technologies, business strategies, market research and workflow case studies, featuring some of the world’s leading smart building experts and thought leaders. Scheeren will share his vision of contemporary architectural and urban development and explore how technology and architectural design combine to influence the creativity of each discipline. 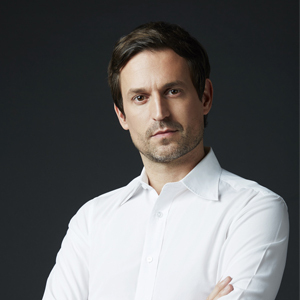 Scheeren is an award winning German architect and principal of “Buro Ole Scheeren”. Previously Scheeren worked with Rem Koolhaas at OMA as a Director and Partner with responsibility for Asia. His current projects include the Guardian Art Center, near the Forbidden City in Beijing, 1500 West Georgia in downtown Vancouver, and MahaNakhon, Bangkok’s tallest tower. ISE 2017 will take place from 7-10 February 2017, and is expected to draw over 1,100 exhibitors and more than 65,000 registered attendees to its Amsterdam RAI location. The event is a joint venture of the Custom Electronic Design and Installation Association (CEDIA) and InfoComm International®. For further information, please visit: www.iseurope.org.